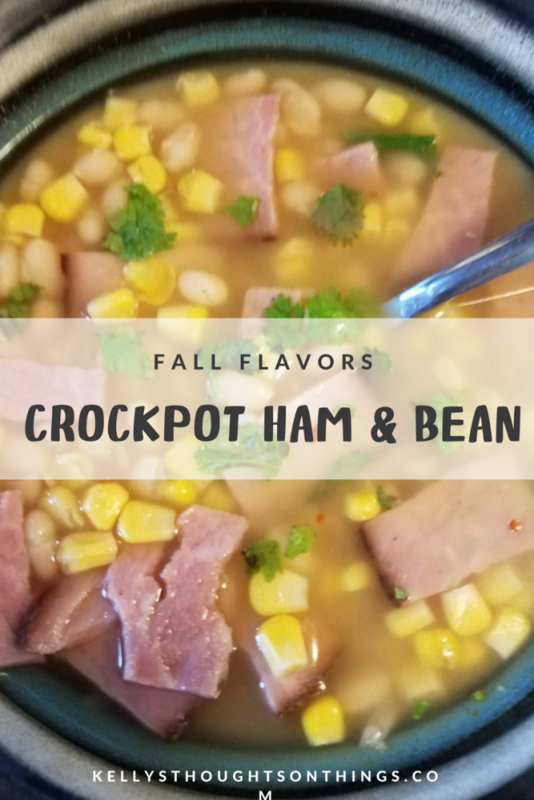 Thanks to BUSH’S Beans and Soapbox Influence for sponsoring this Crockpot Ham & Bean Soup Recipe. As always, all opinions are my own. Fall is HERE, and what I like about that is now I can have SOUP! Soup is one of my favorite things to make and eat. I asked my kids the other day what soup do you want me to make. First, they both replied my Ham and Bean soup. Oh goodie! 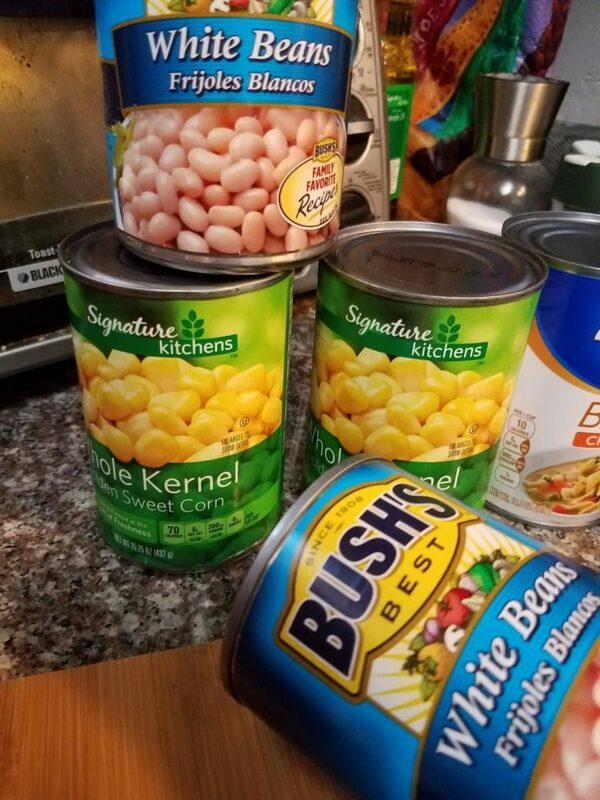 So off to Walmart I go, to get all my goodies and of course my secret weapon BUSH’S Beans. First, they are healthy and also taste amazing, so my kids don’t mind the healthy part! I have teens, every time I say healthy they get all nervous. The price for me is spot on, usually under $2 at Walmart! I will stock up when I see them on sale at Walmart. Beans are probably the easiest way to add protein & fiber to any dish! To be honest, we eat beans (different kids) about 3-4 times a week. There are so many ways I incorporate beans into our diet, and I’m pretty sure that it a GOOD THING! 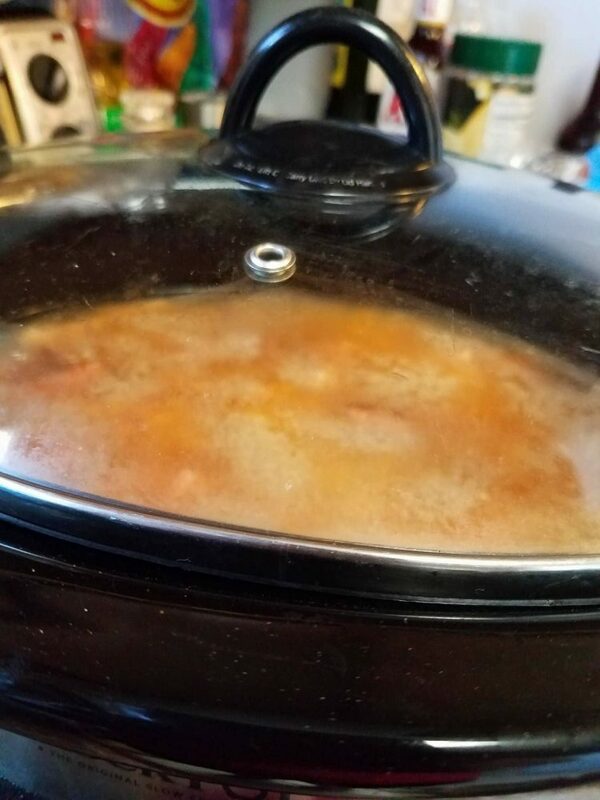 So I want to share my favorite recipe that is super easy but tasty! Watch out it does have a kick to it too! Now, this is a simple recipe, but you can always add ingredients. 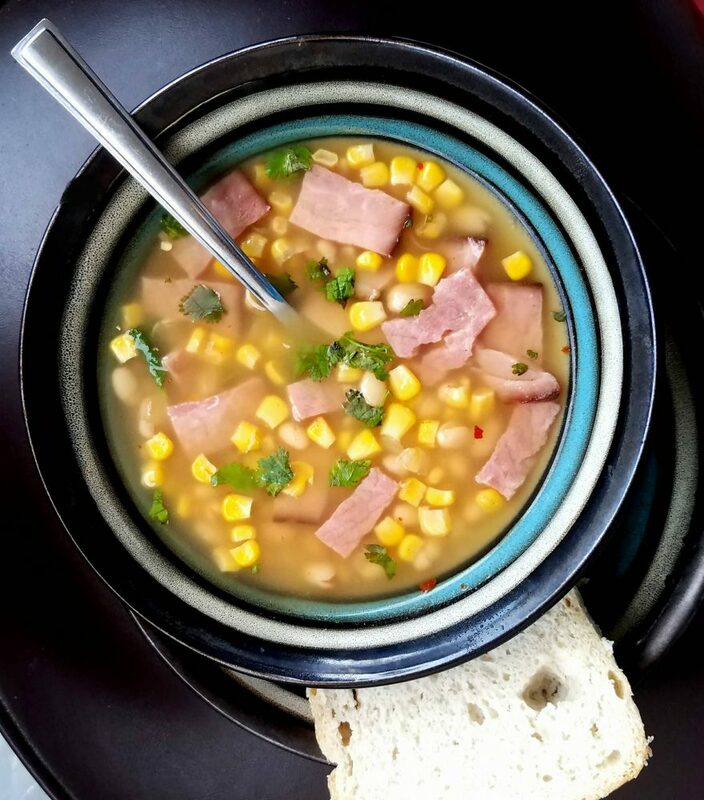 This Crockpot Ham & White Bean Soup is super easy to make and a short ingredient list but don’t let fool you, it is bursting with flavor! Place all ingredients in crockpot, and stir them all together. Cook on low for 8 hours. Serve warm with crackers or bread! 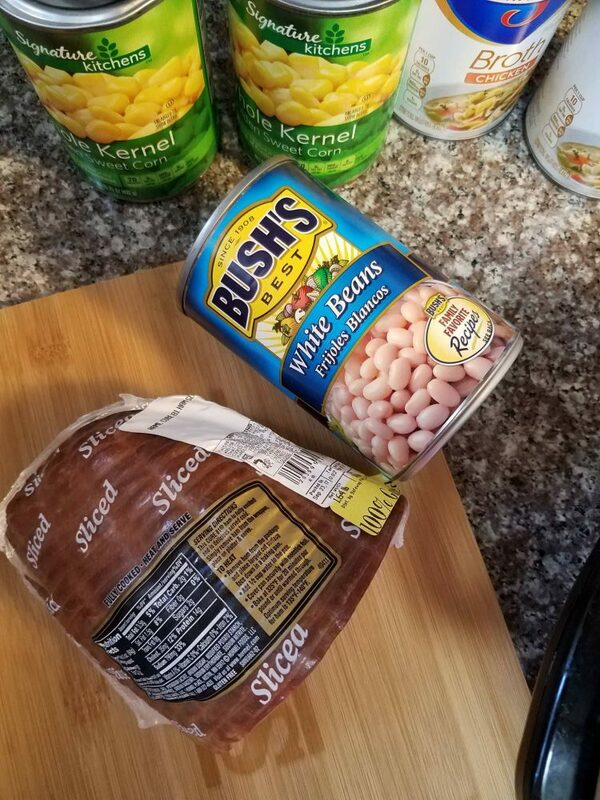 Remember to head to Walmart and pick up some Bush’s Beans and let us know what you want to make this fall? Your ham and bean sandwich looks delicious. 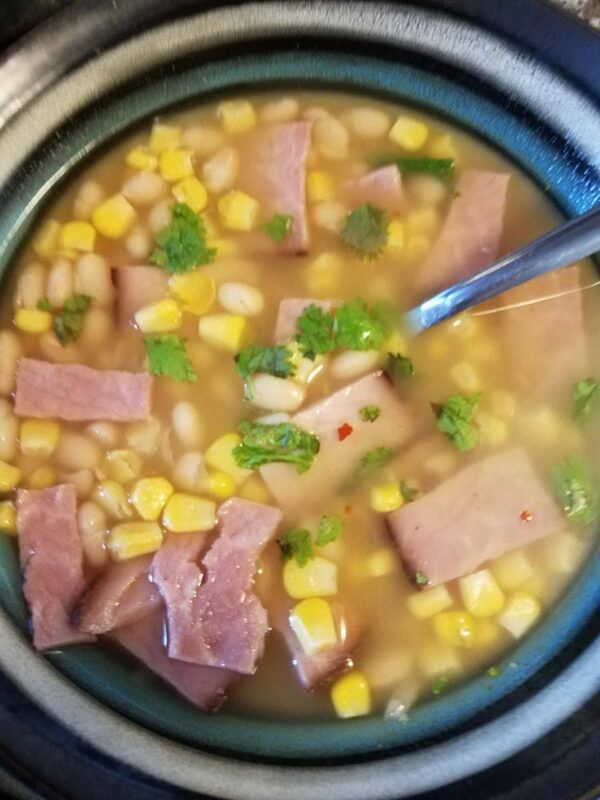 I love anything with corn in it like this soup has. In addition the ingredients are easily accessed and the dish itself seems easy to prepare. I could see us using this ham and bean sandwich to supplement our regular Saturday lunch. It looks so yummy. And the recipe looks very easy. I really gonna made this recipe at home. It look so delicious and really tempting. 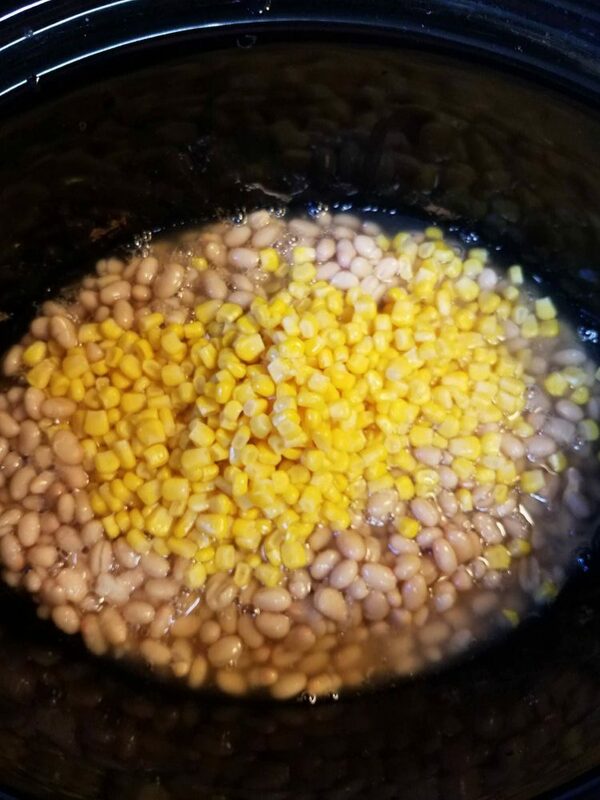 I really like beans. So I will definitely try this one and give me more twist with veggies.